Looking for Practical Investment Research? "Just sold one position and made 20% in less than a year." ― Roger D.
"Your research is solid and I read all of your reports. Yes I would recommend your subscription service." ― Bill M.
"The research performed by Port Wren Capital has allowed me to invest into the stock market comfortably and profitably. The difference between most services and Port Wren Capital is that they are only providing research and not handling my money in the market." ― Josh B. "I agree, Top Pick for 2016 and beyond." ― Leo B. "Thanks, I have just read your impressive article on HP." Seeking Alpha ― Arie G.
"Appreciate research on AA." Investment Executive, Raymond James Financial Services ― Jerry R.
"One investment has gained 26%! Wish I had subscribed earlier. THANKS!" ― Sharon C.
"I appreciated the perspective your research shared. I'm looking forward to future contributions from your group." ― Brando S.
"Valuable information on US Steel. Thanks." ― Kartik S.
― Try our practical investment research for two full weeks, TOTALLY FREE with limited features. ― View over 30 actual Buy Research Reports, glimpse at some actual Update and Sell Research Reports as well. See some prior Buy Research Reports here. ― View our service first hand, and then decide for yourself if it is right for you. ― It's complimentary, just sign up to get access. ― First hand news on many aspects into the world of value investing in your E-Mail box each month. ― It's complimentary now for six months! Normally a $120.00 value for twelve months. We help retail investors pick individual value stocks for above average gains over a multi-year horizon. Port Wren Capital, LLC is an independent value investment stock research firm. We offer practical investment research on specific stocks for serious retail investors seeking above average returns long-term. Our research analysis is objective and unbiased because we do not make money on transactions with financial institutions like others. We offer our investment research via a web based subscription service to retail investors. This is the same research used to invest our own capital. We have beaten the S&P500, DJIA & NASDAQ benchmarks since we started over 5 years ago on our investments. Our objective is to increase wealth, not necessarily beat the benchmarks every year. Our timeframe is more of a multi-year horizon. In Warren Buffett's Partnership Letter, on 1/18/1963 item number 5, he set investors expectations to focus on relative long-term performance. "While I much prefer a five-year test, I feel three years is an absolute minimum for judging performance." Our extensive research has a proven track record and available for one fixed low fee. Port Wren Capital, LLC is an investor first and a business second because our founder uses the same research to invest his own personal capital. Therefore, we have the same goals as our subscribers, seeking above average returns on our investments. 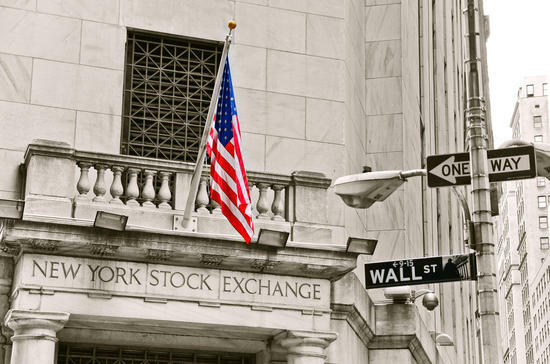 Our research gives you information on which stocks to buy and at what price, as well as, when to sell and at what price to maximize your returns. We offer "practical research" on a highly selected group of concentrated individual U.S. stocks that are undervalued and situated for high growth that saves you hours of research time. Other research services are overly complex, selling an abundant number of "products" that buries you in a mountain of vague information, wastes your time with low returns. Our approach is unique and targets specific stocks. Unlike, Value Line that sells 11 different products & costs over $4,000 per year, Zachs Research sells 20 different products & costs $3,588 per year, and MorningStar that covers 290,000 investment vehicles each day. Our extensive research has a proven track record and available for one fixed low fee. Contact us today to find out more. ― Invest before you ever pay a dime. Want an Investment Alternative with Higher Returns and Lower Fees? Surely you have heard the old expression, "Necessity is the Mother of Invention." As an investor we didn't particularly like the investments choices that are out there. Currently there are two (2) choices. One: Hedge Funds or Wealth Managers that say they deliver high returns but are quickly reduced after their very high fees. Two: Mutual Funds that offer low fees but deliver poor returns that don't beat inflation. We offer another option. One that gives you higher returns, beats inflation for one fixed low fee with our subscription service. This is the basic mission behind Port Wren Capital, LLC. Don't settle for less when you now have a better option with proven returns of performance and is cost effective. Watch the video to find out more. We specialize in uncovering undervalued companies with strong long-term potential for above average gains to increase our capital. Our deep value investing approach is a mix of how Warren Buffett invested after forming Buffett Partnership, Ltd. combined with how John Templeton invested, who used a contrarian approach. We use a five (5) step strategy to generate good ideas, protect principle and picks more winners than losers. First, it starts by searching the entire universe of thousands of U.S. stocks. Second, we look for companies that are Out of Favor that may offer a discounted price. Third, we apply strict Fundamental Analysis to determine a company’s underlying value & its potential for future growth. Fourth, we calculate the Intrinsic Value of the company’s stock to determine a Margin of Safety that allows for miscalculations, see graphic below. Fifth, we identify what Catalysts will elevate the company’s stock price higher over time. This complex process was developed to narrow the field of recommended stocks to a select few worthy of an investors capital who is seeking growth prospects. Port Wren Capital, LLC is engaged in the business of financial research development and publishing. We are not a broker, a dealer, or a registered investment adviser. ― All Research Reports are provided to you on your own webpage, as shown here. In this case, you would click on the ticker symbol (PBF) to view the Buy Research Report on PBF. Your webpage displays the following: research date, research type, ticker symbol, buy price, market price, unrealized gain/loss, intrinsic value estimates, our positions, sell price and realized gain/loss on sell. It is accessible anytime. We have beaten the S&P500, DJIA and NASDAQ benchmarks since we started 5 years ago on our own investments. Our objective is to increase wealth, not necessarily beat the benchmarks every year. Out timeframe is more of a multiyear horizon. Available for one fixed low fee. Go to our Performance tab for more details. This is an actual PWC STOCK REPORTSSM for Popular Corp. (NASDAQ:BPOP) released to our subscribers on 9/30/15 when the share price was $30.43. On 11/2/18 the share price was $52.77, so our subscribers would have about a 73.41% gain to date. Our PWC STOCK REPORTSSM contain over 194 financial data points pertaining to the individual company and three of its competitors, as well as, a thesis, catalysts, a entry point price, fair value prices among other items, and provides diversification with picks from all 11 sectors and all market capitalizations. See some more actual prior reports here. Join our other members today and enjoy above average returns. Copyright © 2013-2019 Port Wren Capital, LLC. All rights reserved. 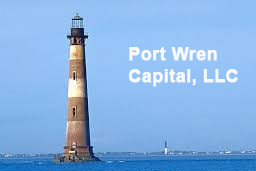 Port Wren Capital LLC logo, PWC Stock Reports, Finding Value Investments, The Contrarian Newsletter, and Investment Research Experts are registered service marks of Port Wren Capital, LLC or its affiliates.